Massages and grooms at the same time! Regular grooming helps prevent hairballs. Easy Grip Brush is flexible and gentle. Great for stressed or anxious cats. 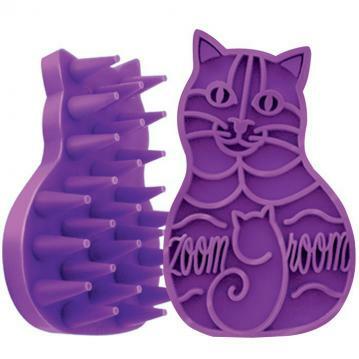 The KONG ZoomGroom for Cats massages and grooms at the same time. The soft, rubber fingers are a magnet for loose hairs. 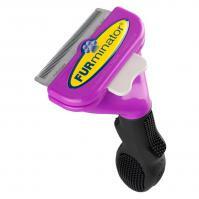 Regular grooming with the KONG ZoomGroom can help condition the skin and reduce hairball formation. The gentle massage action calms stressed or anxious cats, especially in potentially traumatic situations such as veterinarian visits. Firm and flexible 3/4-inch rubber teeth reach through the coat to massage the skin.